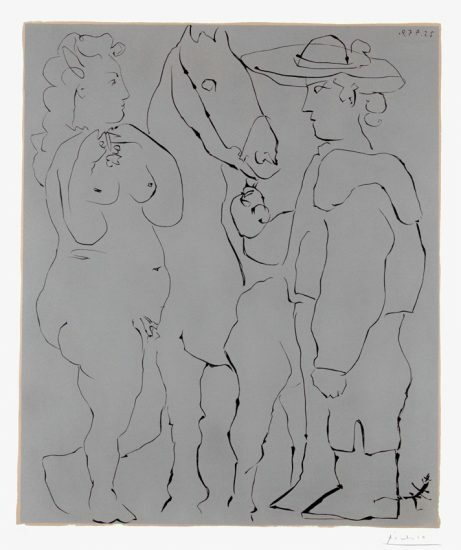 Numbered from the edition of 300 in pencil in the lower left. 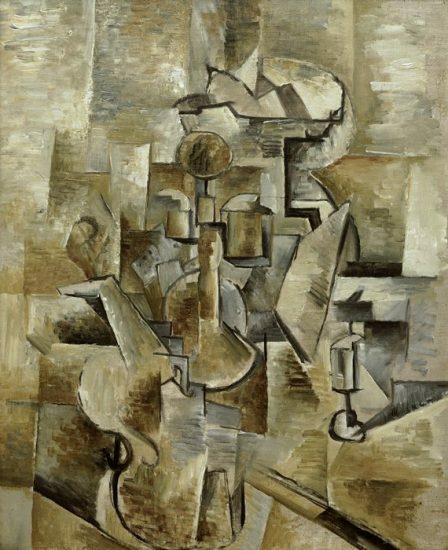 This work is hand-signed by Georges Braque (Argenteuil-sur-Seine, 1882- Paris, 1963) in the lower right. 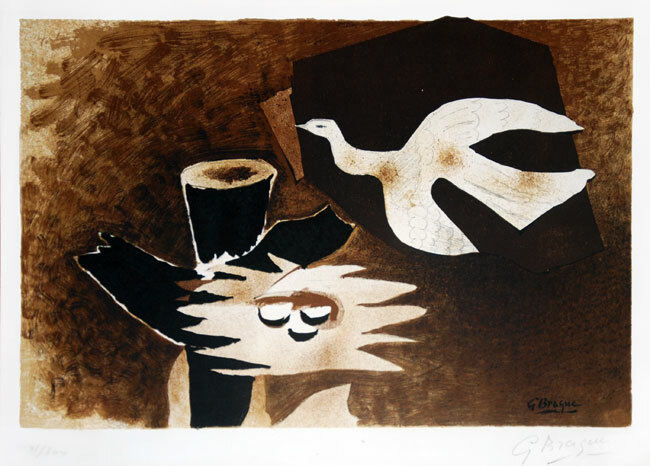 Reflecting Braque's mature aesthetic style, this piece is a beautiful exploration into Audubon iconography, as Braque uses subtle color variations to depict bird flight and habitat. 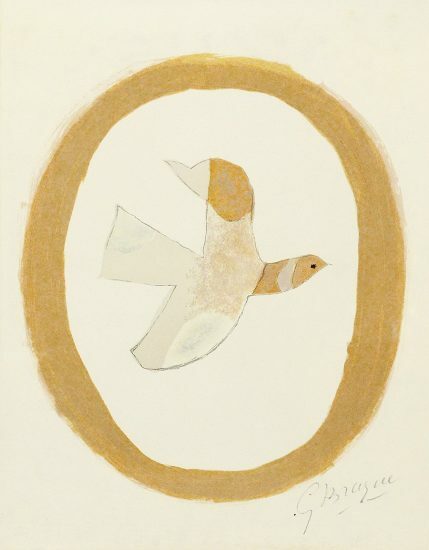 Characterized by highly varied tonal values and imaginative reductions of form, this is a gentle image of a bird returning to her full nest. 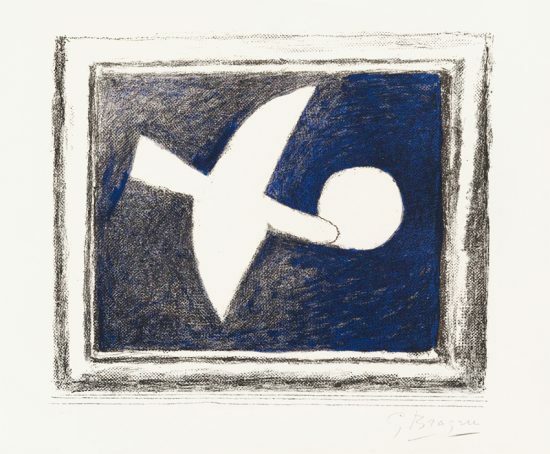 Of Braque's later bird series, Braque scholar Edwin Mullins states, "In the simplest possible manner the metaphysical and the physical merge in these last paintings of birds and sky. 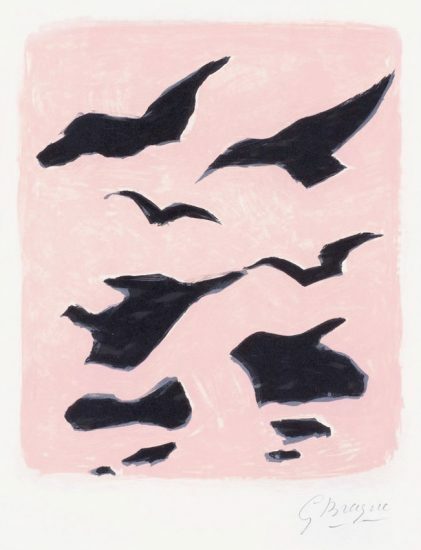 Horizon, sky, cosmic space even, are now tactile as formerly Braque had made a jug or a lemon tactile; yet the bird that wings across these clotted skies remains an unreal and insubstantial thing, an image from a dream…In Bird Returning to its Nest [the work from which Bird and Its Nest was inspired], which Braque chose to represent him at the World Fair of 1958, the light and dark areas are reversed, the sky now being a deep brown impasto which even more strongly emphasizes its material nature, while the bird gliding across it is pale buff" (Mullins, 199-200). 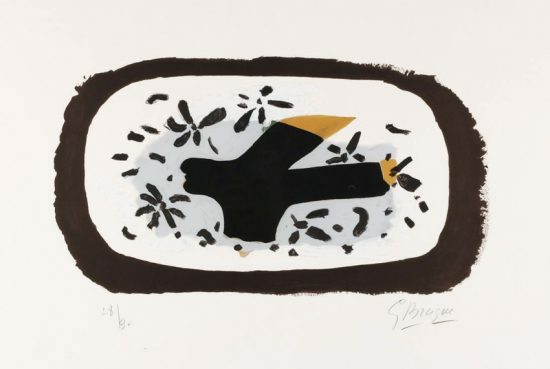 Published by Maeght, circa 1956, this work is part of a series of lithographs and etchings that were based upon Braque's original watercolors, gouaches and paintings. 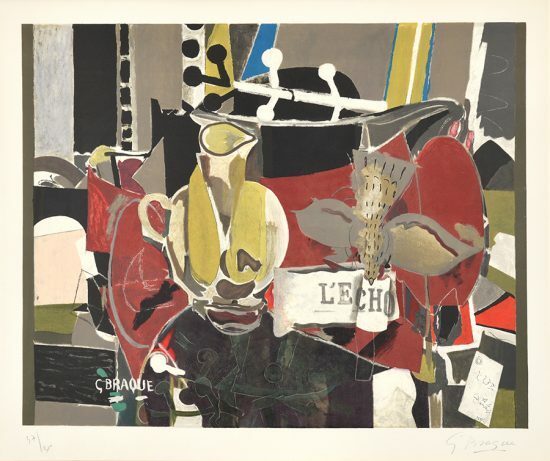 Braque was very involved in the printing process, overseeing the lithographer and correcting the proofs when necessary. 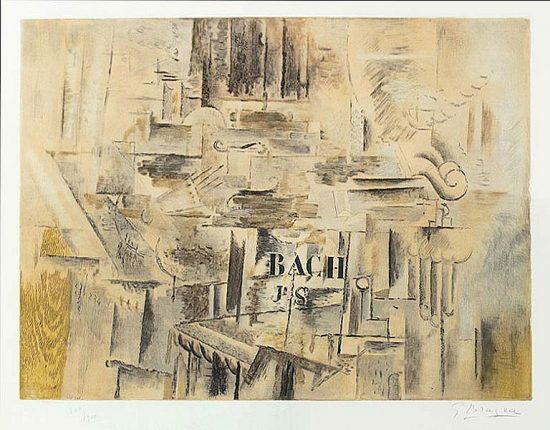 The work is numbered from the edition of 300 in pencil and hand-signed by Georges Braque (Argenteuil-sur-Seine, 1882- Paris, 1963) in the lower right. 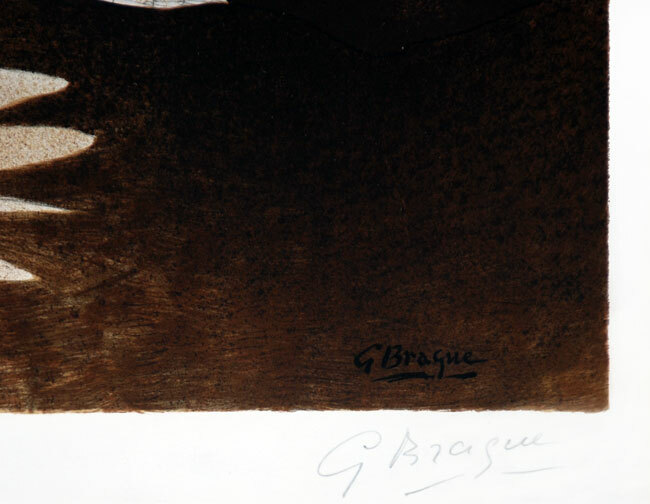 The piece also contains the publisher's blindstamp, 'Maeght Editeur' in the lower left. 1. 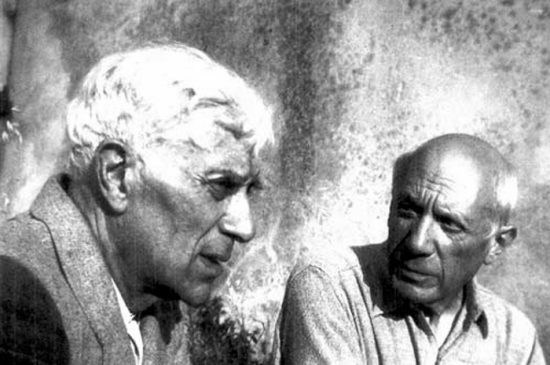 Vallier, Dora; Braque: The Complete Graphics Catalogue Raisonné, 1982. 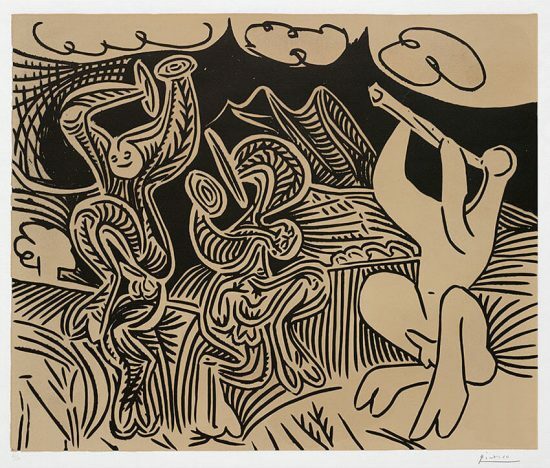 Listed and illustrated as Maeght, no. 1024. 2. Mullins, Edward. 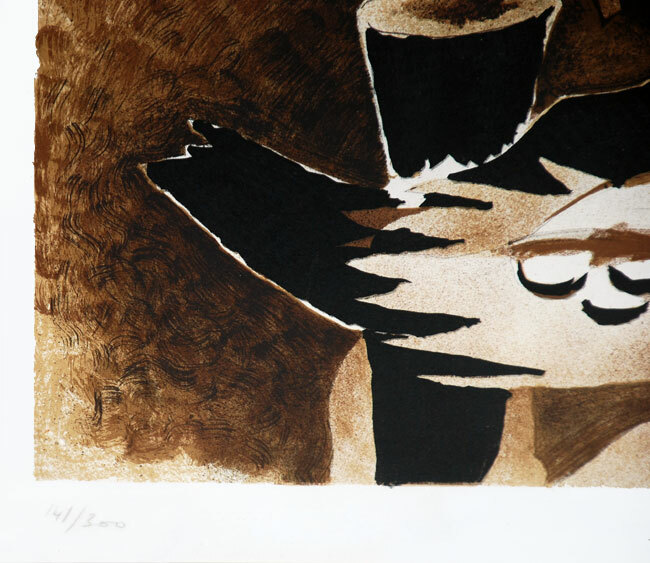 The Art of Georges Braque, 1968. 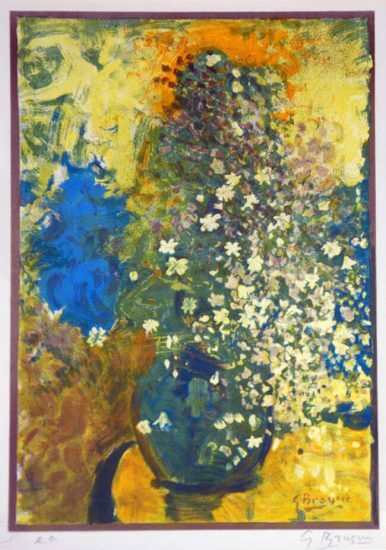 The original painting this work is based off of is listed and illustrated as catalogue raisonné no. 153. 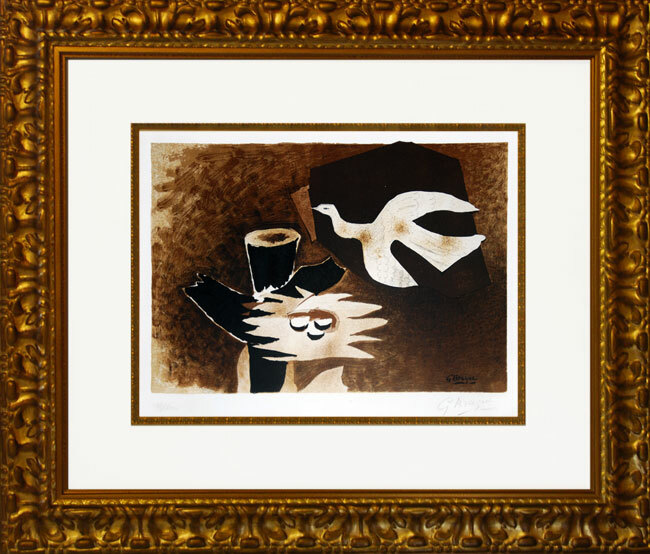 The actual lithograph is listed and illustrated as catalogue raisonné no. 149.